It took me a while to warm to Breaking Bad – and the main reason for this is that it took me more than a season to understand what the series is doing. I’m fairly late to the game, only just having started watching season 3, and one of the main reasons for this is that I’d heard so much hyperbolic praise for the series: “Best thing currently on TV!” I’d heard that sort of thing before – but it rarely held up in any way. Seriously, Dexter? Heroes? Entertaining TV, perhaps, at least initially, but neither of those series was anywhere close to the Pantheon of The Sopranos, Deadwood, The Wire and their HBO brethren. So anyway, Breaking Bad. The premise intrigued me – it’s one of those stories that appeals to my pinko liberal, borderline socialist self: only in America…! Healthcare, shmealthcare, right? If the healthcare system barely deserves that name, cooking meth is a perfectly sane alternative, isn’t it? To my mind, Walter White was a fundamentally decent human being driven to doing something downright insane because of The System, Man, and everything followed from that. Crime, murder, secrets and lies, matrimonial crisis. Thing is: Walter White is not a fundamentally decent human being. Yes, life has screwed him over – lung cancer when he doesn’t even smoke? – and he doesn’t deserve the hand he’s been dealt. Yes, for much of the first season he doesn’t have time to stop and think about what he’s doing; he’s reacting to the fallout of his first, fateful decision. But once we see Walter make decisions that don’t happen under intense pressure, and we realise: it isn’t cruel fate that makes him do what he does. It’s his own self-pity, self-centredness, and his downright monstrous sense of pride. In fact, in the way he rationalises his increasingly dubious actions, he is a brother in spirit to that greatest of all TV villains believing themselves to be anti-heroes: Tony Soprano. Note: If you haven’t seen the series at least to the end of the second season, this video won’t make much sense to you – but it will spoil a fairly big plot point. In other words, do not watch unless you know what I’m talking about! Having said all this, the series does take roughly an entire season to become great. Much of the first season doesn’t exactly know what it wants to be: comedy, drama, bit of both? Are the characters realistic, caricatures or something else altogether? 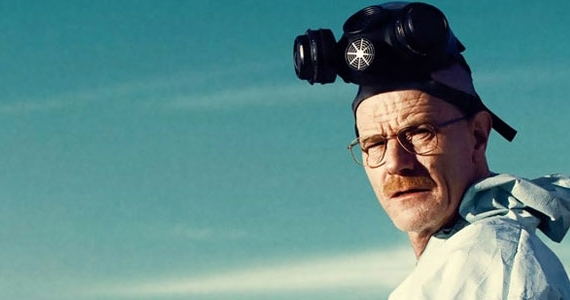 I’m also somewhat doubtful whether the series creators were right to have Walt commit a major crime (no, I’m not talking about some piddly meth cooking) within a couple of episodes of its beginning. Season 1 was entertaining and showed more promise already than, say, the Dexters and Heroes of TV Land, but it’s only in the series’ sophomore season that Breaking Bad fully comes into its own. And now I’m hooked, more so than on any current-gen HBO series – the series is my blue meth. And as far as poor, decent, selfish, evil, monstrous Walter White is concerned, I’m sorry, Walt, you can’t blame the US healthcare system at this point. I believe Novalis said it best: Character is fate.